The Chinese author, Mo Yan, will be speaking at a conference on May 23 at San Marcos in Lima. “The Republic of Wine” author Mo Yan, will be paying a visit to San Marcos University of Lima, Peru this Saturday May 23. Winner of the Nobel Prize of Literature, the acclaimed Chinese writer will be participating in a conference of literature entitled, “Meeting of San Marcos with the writers of the Popular Republic of China.” The event will be held in the Auditorium José Antonio Russo Delgado of the Faculty of Arts and Humanities. Mo Yan’s novels failing in China? The richest Chinese writer reaped 19.5 million yuan ($3.14 million) in royalty gains in 2014, as the China Writers Rich List was launched on Dec 20 in Chengdu, Sichuan province. According to the list, 50 Chinese writers have gained more than 1 million yuan in royalties from their works in print. 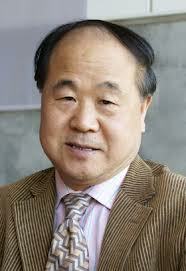 Chinese Nobel laureate Mo Yan said on Thursday that he is preparing to write a novel about the ills of corruption. The well-known Chinese writer made the remarks in an interview for the website of the Communist Party of China Central Commission for Discipline Inspection. A group of Sinologists have “nominated” the most promising Chinese candidates for the 2014 Nobel Prize in literature, which is expected to be announced in October. Most said novelist Liu Zhenyun is the strongest candidate to win the prize. The Sinologists made the nomination during a symposium on Chinese literature and translation last month in Beijing. Chinese writer Mo Yan won the Nobel Prize in literature in 2012. In considering Mo Yan’s award of the Nobel Prize for Literature and the popularity of Mai Jia’s novels overseas, the contribution of foreign translators cannot be ignored. Their excellent language capabilities and unique perspective tailored for western readers have helped introduce Chinese literature to the world.